With the holidays right around the corner, now is the time to make sure you’ve done everything you can to increase your online shop’s conversion rate. (Your conversion rate is the percentage of your website visitors that actually make a purchase and “convert” from browsers into buyers.) I recently attended Shopify’s Shop Class in New Orleans where Shopify expert Samantha Murray shared tips for increasing your online sales this Black Friday and how to increase conversion rates for your ecommerce shop all year long. When it comes to turning those website views and visits into sales, there are 2 main areas of your shop to focus on: product pages and the checkout experience. Your product pages are the bread and butter of your e-commerce shop. Without these, your shop wouldn’t even be a shop, so it’s important to make sure these pages look and perform their best. The big rule for conversion optimization is to make it easy for the user. For product pages, this means you’ll want to make sure that the most important information is close to the top of the page. Don’t make your visitors dig around to find must-know information like product features, size, color, and price. You’ll also want to make sure your ADD TO CART button is close to the top of your pages and very noticeable and easy to find. You might even try testing different bright colors or text options for that button, such as ADD TO SHOPPING BAG or BUY NOW, to see if another version of the button resonates better with your own target customer and increases your conversion rate. If you offer certain product guarantees or there are specific features of your product or the way it is manufactured that customers should be aware of, be sure to display those clearly and prominently on your product pages. Custom-designed icons can be a great way to showcase the special features of your products. For example, if you sell bath and body or gourmet food products, you might want to ensure that your customers know if your products are made from certified organic or non-GMO ingredients or that they are cruelty free. If you sell sustainable clothing, you may want to inform customers that your garments are sweatshop free or made from a recycled polyester blend. If it’s a customer’s first time buying something from you, they might have fears or hesitations that hold them back from making the purchase. Reviews, testimonials, and guarantees are great ways to use social proof to improve your chances of converting website visitors into customers. It is human nature for us to look to other people for advice or reassurance when we’re unsure about something, so by providing product reviews and testimonials, you help to put your potential customer’s fears at ease. If you’ve ever made a purchase on Amazon, you’ve probably experienced this first-hand. There, you can sort the product reviews by positive reviews and critical reviews, or even search the reviews to see if anyone has written a review that addresses the specific concerns you have about whether or not to make a purchase. Testimonials or case studies can also be a useful way to demonstrate social proof for certain types of products. For example, if you sell beauty products like a face cream or products that affect someone’s health or appearance, like deodorant or shampoo, having testimonials about how well your product works can make the difference between someone purchasing your product for the first time or moving on. You can collect testimonials via post-purchase automated email campaigns using Mailchimp or Klaviyo. Set up a survey using Google Forms or Survey Monkey that is automatically emailed to customers a few weeks after their purchase to ask for feedback and testimonials. You could even collect before and after photos this way. Trial sample size products and videos can also be great ways to ease a first-time customer’s concerns. Our client Handcrafted Honeybee sells mini versions of their SmartyPits deodorant so that customers can test drive different scents before purchasing a full-sized deodorant. Sell home decor items like wallpaper or handcrafted tiles? Our clients Metolius and Mercury Mosaics do, and both offer customers the option to order samples so that they can see the colors up close and personal before ordering a wall’s worth of product. What if your products are something people may not already be familiar with using? Tutorials or “how to use the product” videos can help customers understand how your products can fit into their life. The product pages we designed for our client Maniology feature embedded YouTube videos and and “Frequently Bought With” related product suggestions so that people who are new to the world of nail art will feel confident to purchase and use their products. Once you’ve got your product pages optimized for conversions, you’ll want to make sure that your customer’s checkout experience is also a breeze. During Shop Class, Samantha told us that there are 2 things you need to do on your checkout pages: reduce fear and build trust and credibility. When it comes to SEO (search engine optimization), Google holds websites that fall into the “Your Money or Your Life” category to a higher standard, and this includes all e-commerce sites. Basically, because you are processing credit card transactions or taking people’s money in exchange for your products, you must go the extra step to ensure that your website is secure and trustworthy, or you’ll have no hope of reaching the top of the search results. SSL certificates (aka that little lock-box icon and HTTPS: in the top of your browser window) are built into Shopify websites automatically. Shopify also automatically takes care of something called PCI DSS Compliance for you. This is something I learned about the hard way back when I was running my own e-commerce shop in 2010. Back then, before Shopify was the powerhouse it is now, I went with a self-hosted e-commerce platform that my web designer recommended. That meant that I had to ensure the safety and security of my e-commerce software and website hosting myself, which was super complicated and technical and overwhelming, even though I typically consider myself pretty tech-competent. It got even worse when I realized that my web designer had never showed me how to update my e-commerce software or even told me that it needed to be updated and my shop got hacked. This is now the main reason that I always recommend that people use a comprehensive hosted e-commerce solution like Shopify. Unless you have a full tech team on staff, it’s wayyyy easier and more cost-effective to use something like Shopify to run your online shop. Samantha recommended activating live chat where possible on your shop, including on your checkout pages. By making it easy for your customers to ask questions about your products or shipping times, you’re more likely to make that sale that otherwise might be lost. If there are certain products that people often ask you questions about, activate live chat on those specific product pages as well. Live chat can help improve your customer service experience, and Samantha pointed out that customer service is the #1 way of improving customer retention. Another tip Samantha had for improving your customer service is to use a tool like Zendesk for customer communication, to replace email. This is something we actually do here at Aeolidia. Zendesk is a cloud-based customer service software and support ticketing system which logs all of your communications with your customers. By using it instead of email, you don’t have to worry about misplacing messages, and you can also analyze and start to see trends in customer questions. For instance, if customers frequently ask about shipping times, you might want to add this information to your FAQ page or feature it more prominently on your checkout pages. Especially when people are ordering for gifts or special occasions, they’re concerned about shipping times and return policies. Include a link to your FAQ page or your shipping and return policies on your checkout pages to reduce last-minute hesitations. Price conscious shoppers (and aren’t we all?) may be wondering if they’re getting the best deal. Samantha recommended using the Privy app, so that before a shopper leaves your site to go look for a coupon code or better offer, you can set up an exit intent pop-up that will present visitors with a discount code or special offer before they leave your site. This one little step can transform a nearly-lost sale into a successful transaction. It’s always great to have new customers, but a healthy percentage of repeat customers is the way to really grow a business. Samantha suggested using the Kit app to create customized Facebook and Instagram ads using your Shopify store’s data. Kit can create custom Facebook audiences and retargeting ad campaigns to remind people who’ve visited your site but didn’t make a purchase to come back and buy. It does all the work of creating an ad, then it will send you a preview of the ad and ask how much you’d like to spend. You can adjust things as needed and approve the ad, without having to do everything manually. Customer loyalty programs are another great way to entice existing customers to keep coming back. Customers love to earn rewards for shopping at their favorite stores, whether it’s a discount on a future purchase or a free gift. Smile.io was Samantha’s recommended Shopify app for this. If you run a brick-and-mortar store and use the Shopify POS you can even integrate your customer loyalty program across your in-store purchases and online purchases. If you sell a product that people return to purchase frequently, like bath or beauty products, you can also offer subscription billing to make it easier for your customers to buy regularly and to create recurring revenue for you. Subscription billing is typically offered at a slightly discounted rate compared to what it would cost to purchase the same products as a regular one-time purchase, in order to incentivize your customers to subscribe. How do you plan to increase your shop’s conversion rate? Want to learn more about improving your website’s conversion rate? 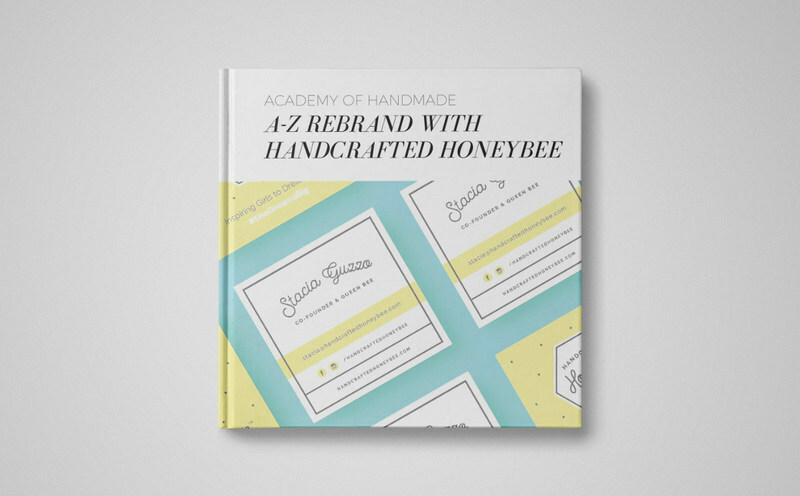 See how we helped our client Handcrafted HoneyBee increase their Shopify conversion rates nearly 2.5 times and increase their sales by 1,131%! The cost of a rebrand or custom Shopify design may seem intimidating until you realize how much potential money you could be losing by not taking action sooner. Take a look at how much extra money you could be making by taking action and enlisting a team of Shopify experts for a conversion optimized redesign.